The Cross Lever is an inline brake designed for use on the flat upper section of drop handlebars. 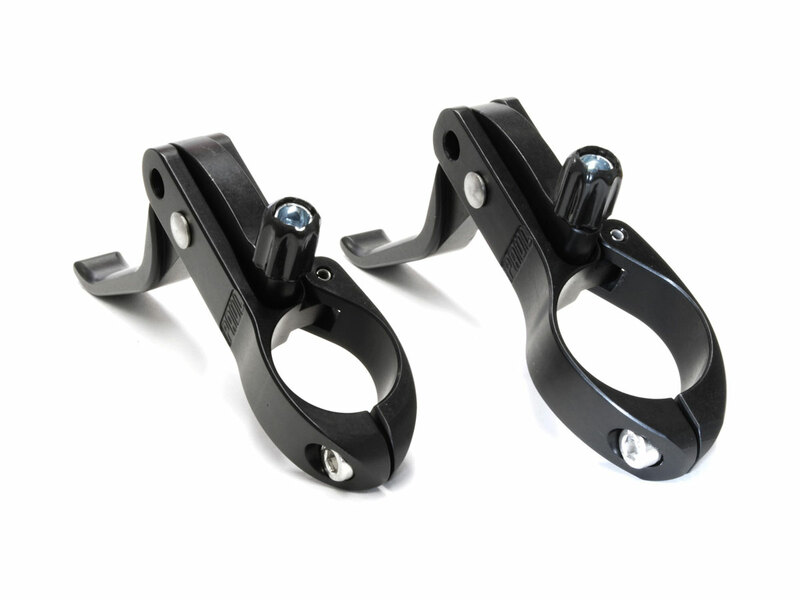 It can be used with short-pull or long-pull brakes and road bars. The Cross Lever's pivot can be placed in two different positions giving it the leverage of a short pull or long pull brake lever. 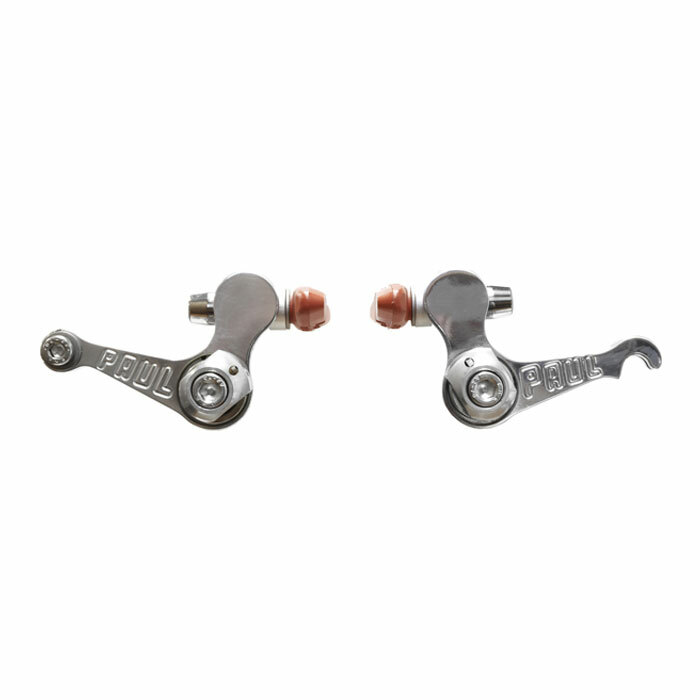 Short pull brake levers have less leverage than long pull brake levers and are intended only for use with short pull brakes such as side pull caliper brakes, cantilever brakes, brakes and mini-v brakes. 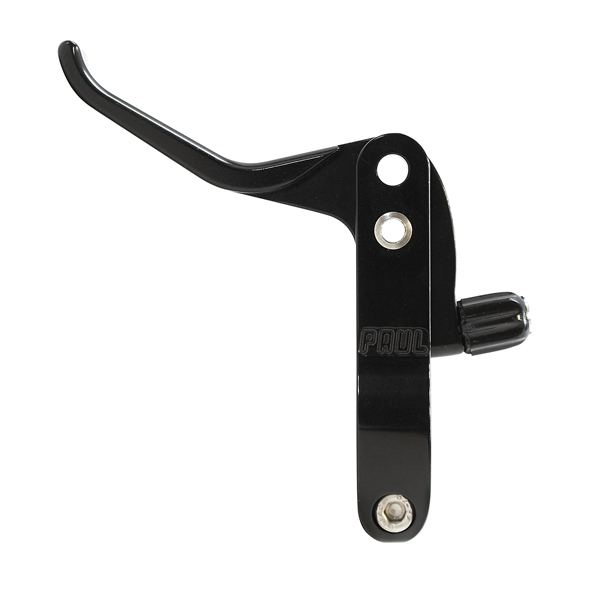 Long pull brake levers are intended only for use with long pull brakes such as linear pull brakes, v-brakes and cable-actuated disk brakes. 26.0mm is a common road handlebar size. It is measured in the center of the bars where the stem attaches. 31.8 is another common handlebar size, often found on lightweight road handlebars. It is measured in the center of the bars where the stem attaches. By routing your existing brake cable and housing from your drop levers through the Cross Lever, you can have two sets of brake levers that allow you to control your speed from multiple hand positions. 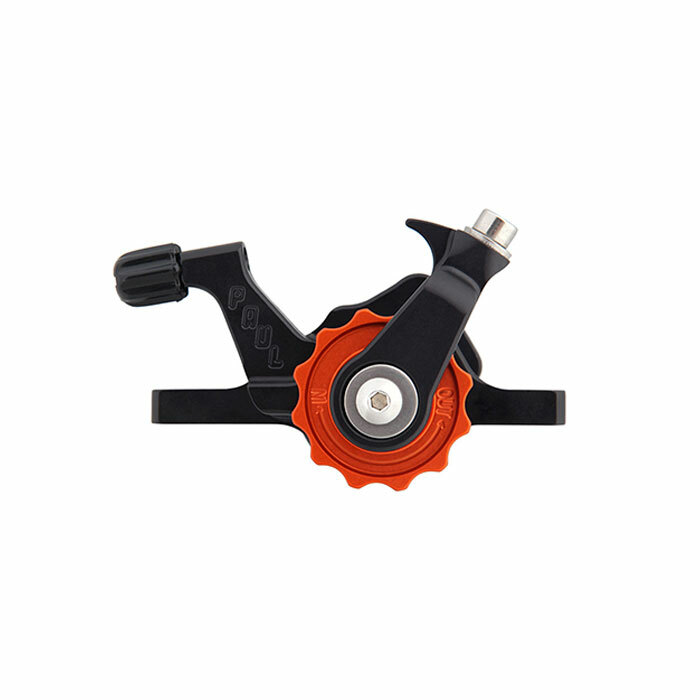 The Cross Lever fits onto the thicker stem clamp area of handlebars, and a hinged clamp allows for installation without needing to strip your bar tape. 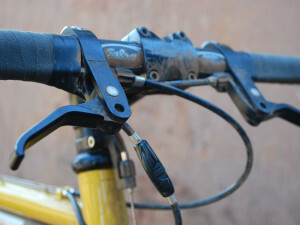 A barrel adjuster makes it easy to fine tune your cable tension. 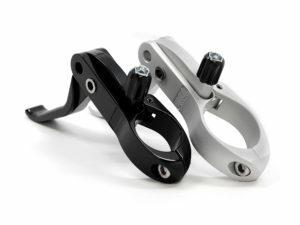 Fully CNC’d construction gives them a solid feel in the hand, and they are designed to work with any kind of brake. 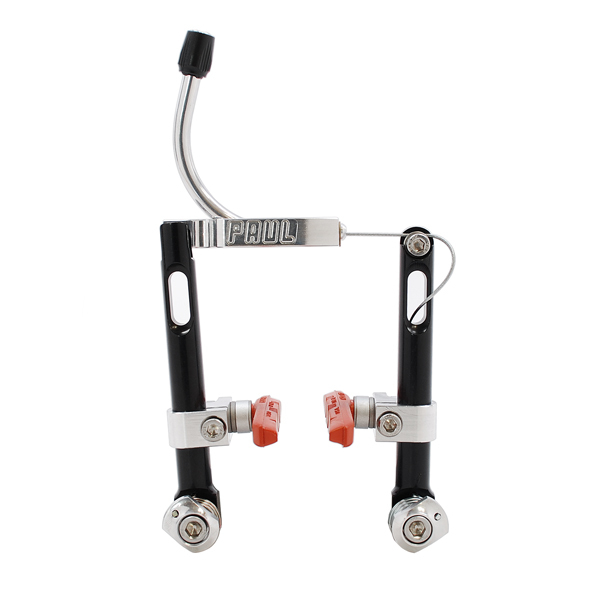 The Cross Lever is both a Short Pull and a Long Pull lever, depending upon the position of the adjustable pivot. 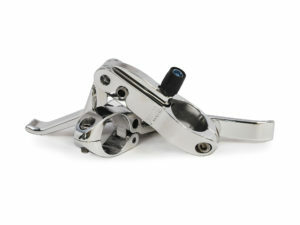 The levers come with their pivot pins in the hole closest to the handlebar. 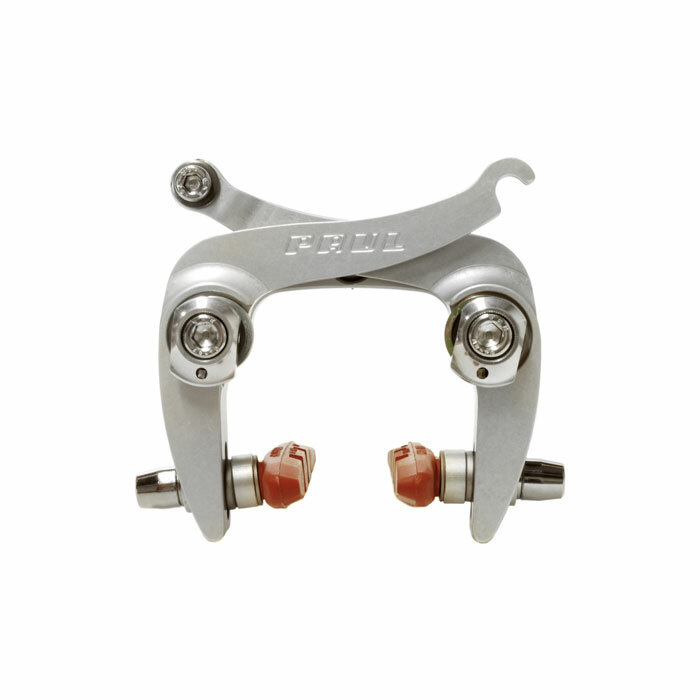 This location is for short pull brakes: road calipers, center pull cantilever brakes, like our Racer, Racer Medium, Neo-Retro, and Touring Canti, and road mechanical disc brakes, like the short-pull Klamper. Moving the pivot pin to the outer hole makes the levers compatible with long pull brakes, like our Motolites and the long-pull version of the Klamper.